How to root SONY Xperia Z3 with the Fastest Way – For those, Android users who like to unlocking their Android devices means they would get great advantages and unlimited access to internal system and much more. 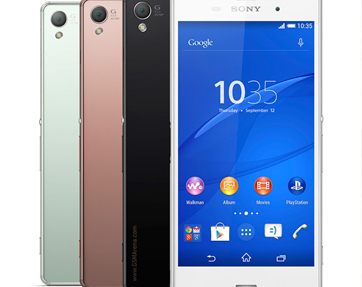 Root Xperia Z3 has many methods, and as you know there are some types of this smartphone they are with different region version, different type such SONY Xperia Z3 and SONY Xperia Z3 Compact. Save the file on your PC or computer, place it on desktop without unzipping anything for that file. Connect your Xperia Z3 to PC via USB cable! Then transfer root file from desktop (computer), to your phone – you must remember that path. Now unplug USB cable from your phone, and turn off your phone! Pick the root file and flash the same. On recovery menu, select “reboot system now”! and done. If your phone stuck in a boot loop, you can return to recovery (use the same guide fro reaching the recovery menu) and select wipe data factory reset and wipe cache partition. Surely don’t forget to “reboot system now”! Belum ada tanggapan untuk "Root SONY Xperia Z3 Less Than a Minute"